Man, this thread's grown up so fast. 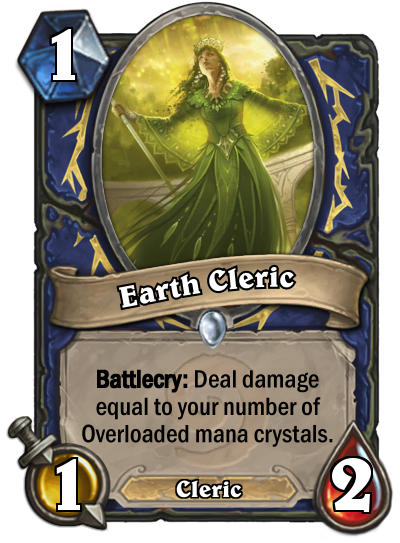 I know its a spell, but just... just keep looking!! 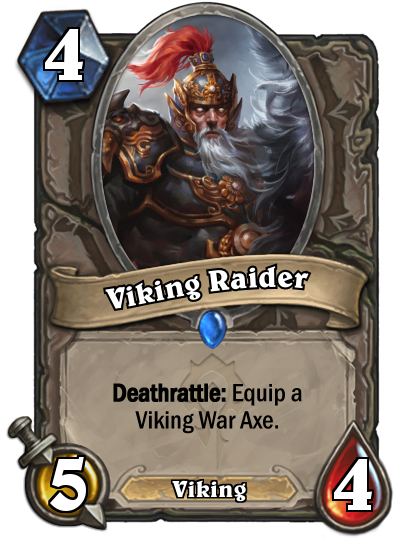 I wanna see a Viking Pirate. 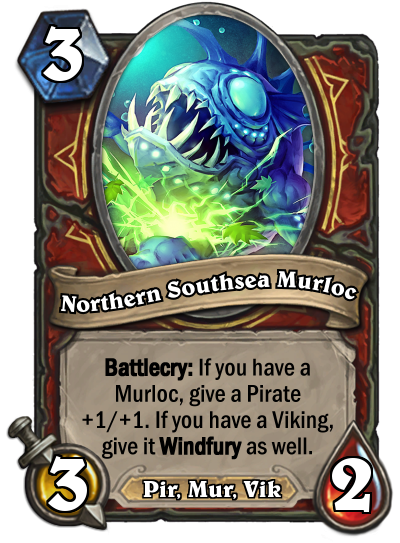 Bonus Points for a Viking Pirate Murloc. For this one I embraced the madness. 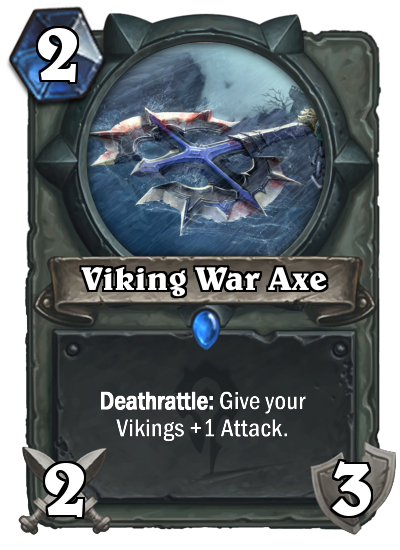 I also thought: Which class should have Viking synergy? 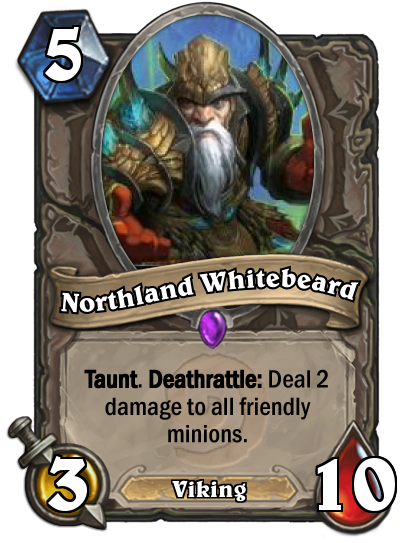 Warrior, of course! 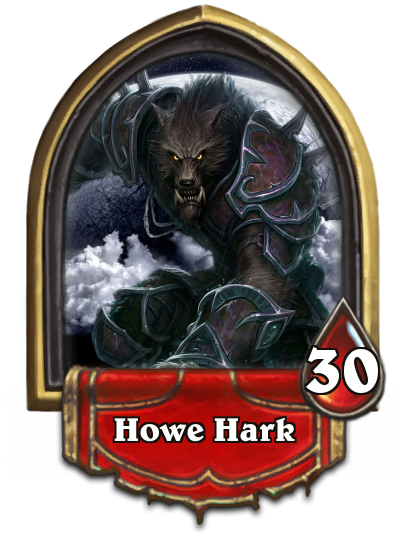 HearthCards, wonderful as it is, is limited in terms of "Tribe" text so I had to abbreviate. Sorry. 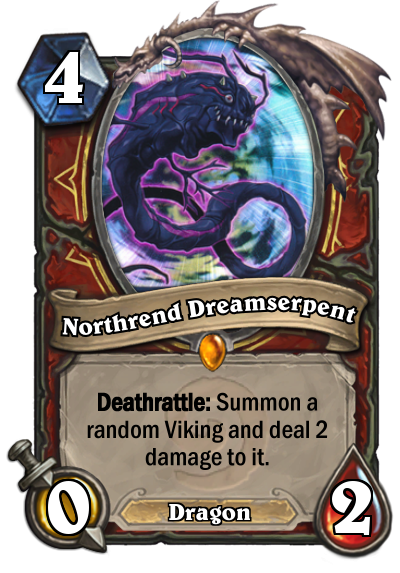 Next up I'd like to see your choice of the following: A Viking with an Inspire, or an anti-Viking tech card. Check out my Workbench to see some of my cards! 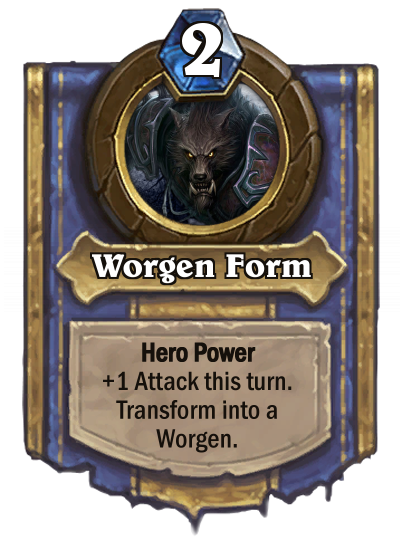 Time to break the theme! 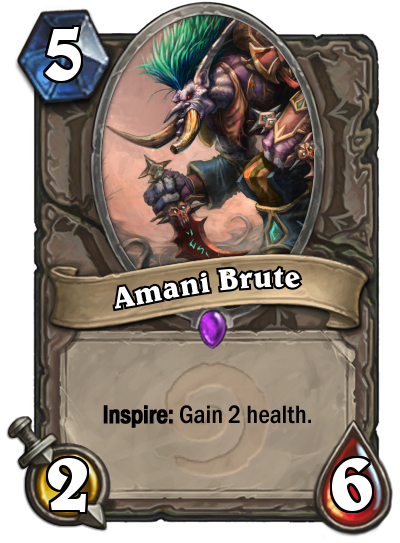 Lets see a 4 mana or lower dragon with an inspire! 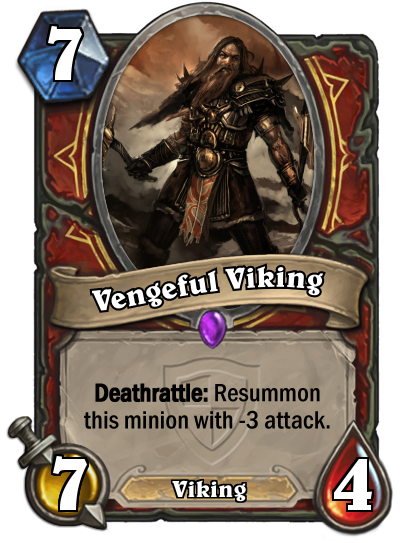 Next up: A non-Viking with Viking synergy. 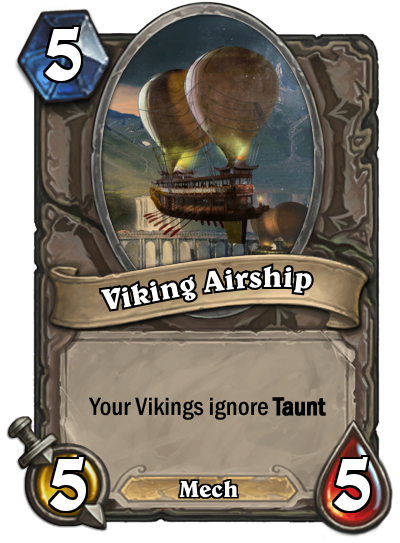 Next up, a Mech that helps Vikings. 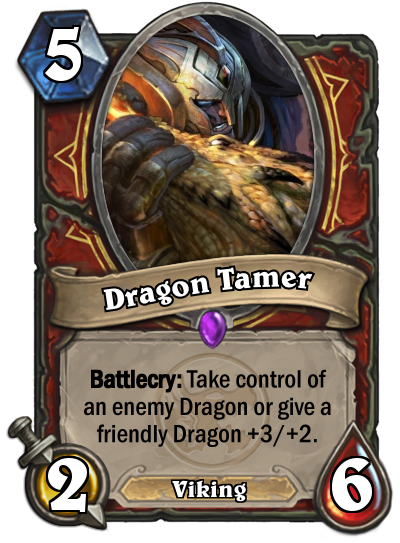 Yes, I know the art is Diablo. 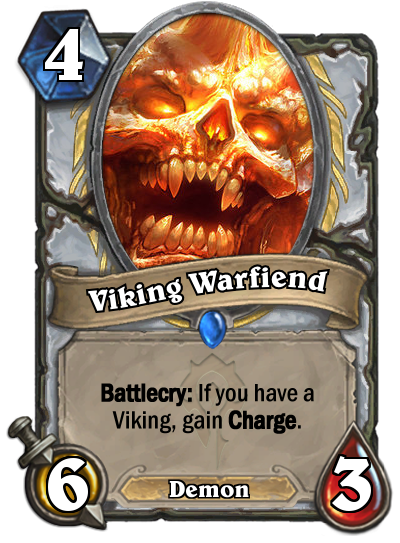 Next up, a druid Viking. 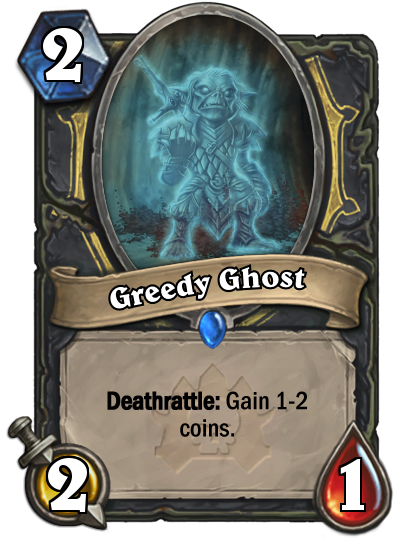 Ayyy not alot of ghost gobbies on the web. 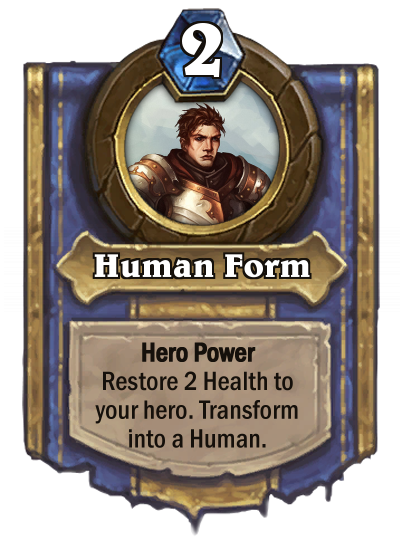 How about a Warrior card that deals with weapons in a unique way, think outside the box! Maybe not so cool...but desperately needed.